The Bream Creek Farmers Market is held at the Bream Creek Showgrounds, a 40 minute drive from Hobart. 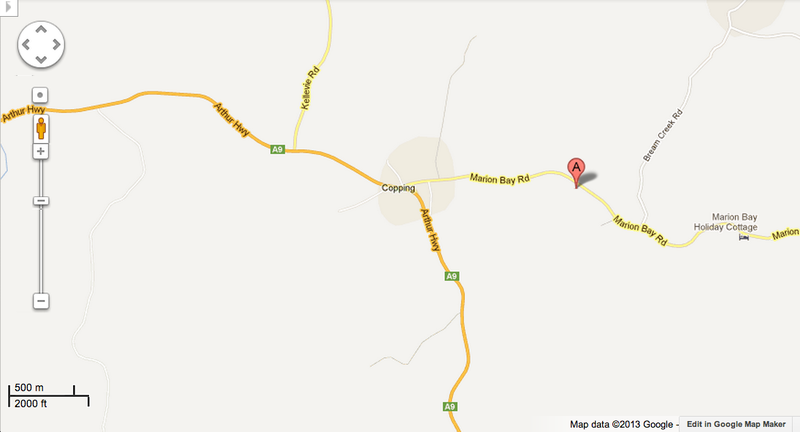 Turn off the Arthur Highway at Copping, and the Showgrounds are a few kilometres up Marion Bay Road. Signs and banners are erected the week before each Market to point you in the right direction.